YG Entertainment’s upcoming variety program “YG Strategy Center” (working title) will be broadcast via online streaming platform Netflix. The K-pop agency announced Thursday that its new sitcom-variety program will premiere on Netflix, while the exact release date is yet to be set. 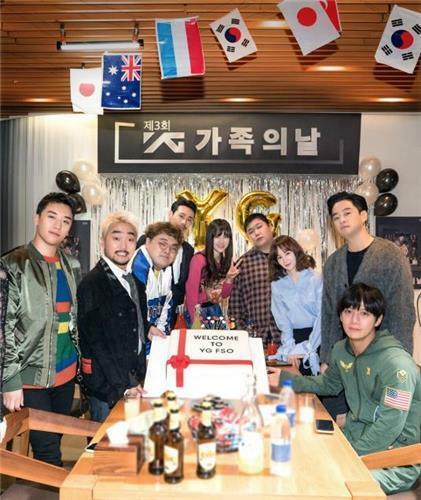 Featuring a group of YG families including Seungri of Big Bang, Lee Jae-jin of Sechskies and comedian Yoo Byung-jae, the eight-episode Netflix series will take place at a virtual YG headquarters. It will center on Seungri, who dreams of becoming the No.1 in the company. The story unfolds as the Big Bang vocalist is assigned to the company’s least-preferred data analysis/planning team, in which he struggles to save the company from its downfall. Other YG artists such as Winner, iKon, Jinusean and Black Pink will also make guest appearances, the agency said. “’YG Strategy Center’ will be a variety show that combines sitcom with reality,” the agency stated. The program’s director Park Jun-su, the mastermind behind shows like “UV Syndrome” and “The God of Music” also expressed his excitement for the new project, sharing his plan to keep introducing more Korean content around the globe. It has been reported that YG is joining forces with renowned program directors, including director Park, in an effort to create its own entertainment content. Last year, YG collaborated with local channel JTBC to create the idol survival program “Mix Nine,” which featured YG head Yang Hyun-suk as a judge. The show, however, ended in January this year with a low rating. “YG Strategy Center” will be broadcast in 190 countries via Netflix.